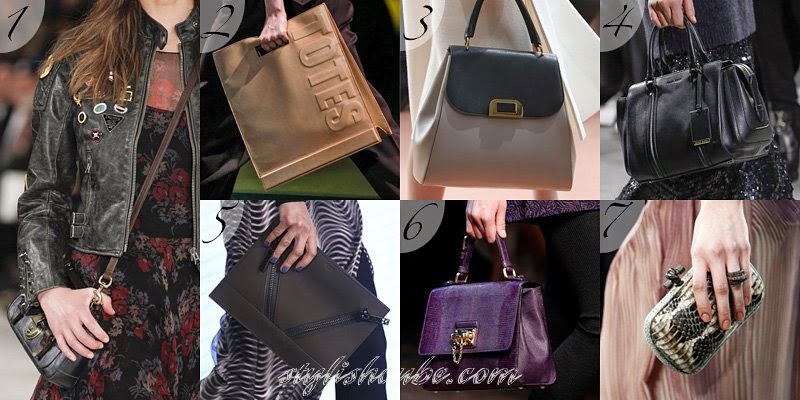 [Fall Winter 2014 -2015 Fashion Trends] - Elegance combined with bold modern trends of colors and performance features handbags fall-winter 2014-2015. Models have a bright individuality and completeness; details are visible and have a meaning. The collections reflect the main trends of the season – sophisticated 3D-geometry, noble colors and materials with a volume texture. 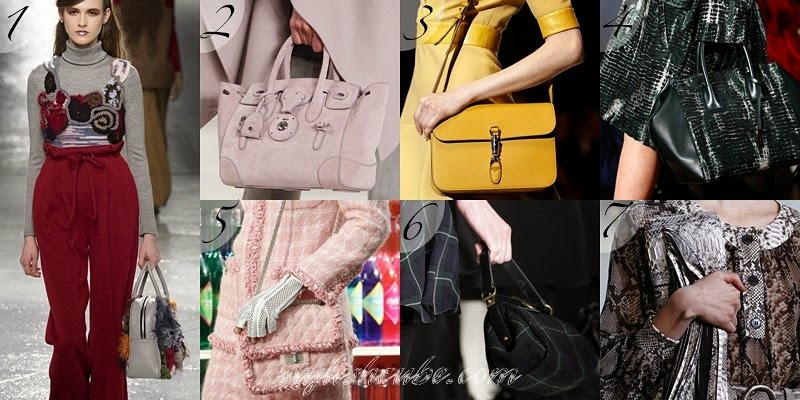 Handbags predominate among designer bags’ styles: tote-handbags, briefcases, suitcases and bowlers, folders, clutches and purses. This trend is true regardless of the size of women's handbags. Small and medium-sized handbags are recommended to be worn on a shoulder. Typically, designers offer to wear them over your shoulder in a diagonal way. The list of leading trends includes – perfect match of women's handbags not with shoes, but with the main items of an outfit: dresses, jackets, coats, sweaters, pants. Besides shade and prints, designers choose identical materials and finishing, ensuring complete coincidence. This has impracticality, extravagance and bohemiance, but they are attractive to female nature. 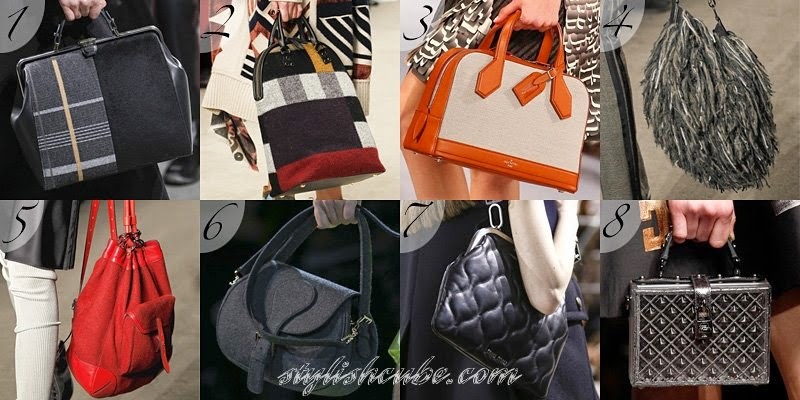 Exquisite beauty and perfection of bulk handbags with clear geometric lines conquered the podium. 3D-geometry, in other words – stereometry allows fashionistas to literally learn the basic shapes of this subject in practice. Models have rigid or flexible forms, designers use a contrasting edging to emphasize the main facets of the silhouette. 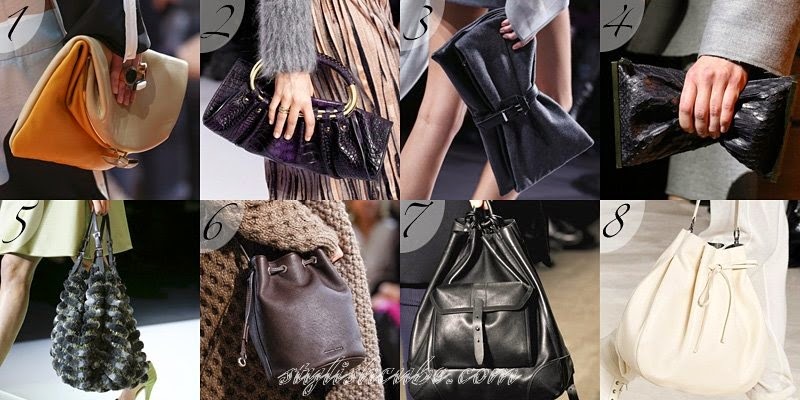 Backpacks, bags, sacks and clutches of a soft form are present among women’s handbags fall-winter 2014-2015, but they are loosing the position of the trend. Their design is close to minimalism in detail, formlessness became the exception rather than the general rule. The same way as last season, flexible options of tote bags are permissible to wear in the bent form. 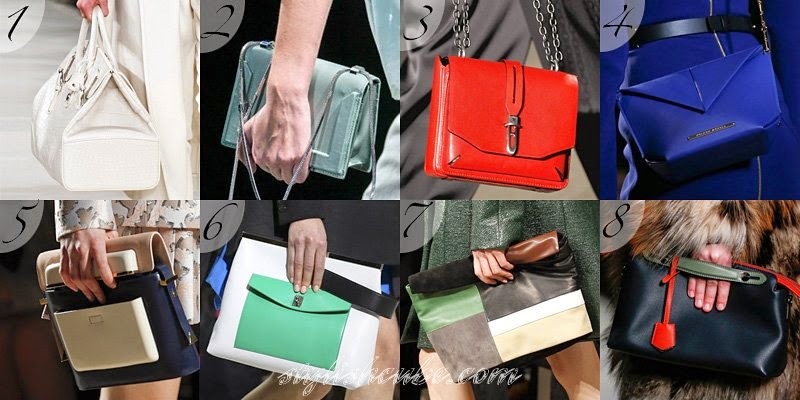 Unusual designs of bags, in which any techniques are relevant, are in the trend; fashion designers’ inspiration goes beyond a certain styly. Sources of ideas vary: mixing soft and hard bases, elements of military ammunition, household basket from the supermarket, the most important thing – is the perfection and elegance of execution. A new interesting offer is to wear not one, but two or three different tote bags, like paper bags with new clothes from boutiques. 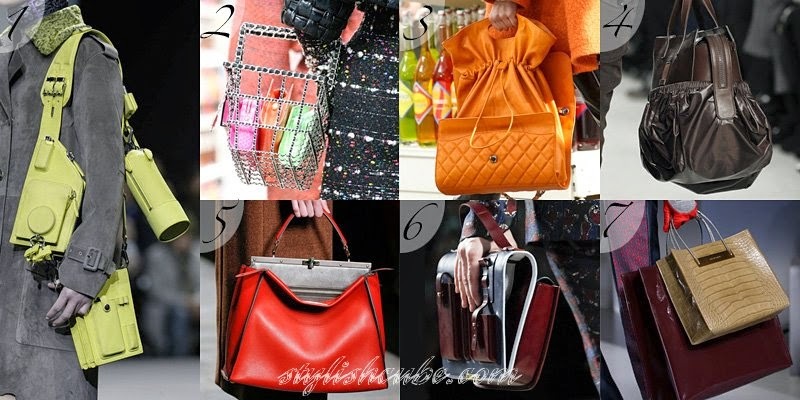 Special attention should be paid to handles of fashion handbags, in particular - fur and metal ones with rigid structure. 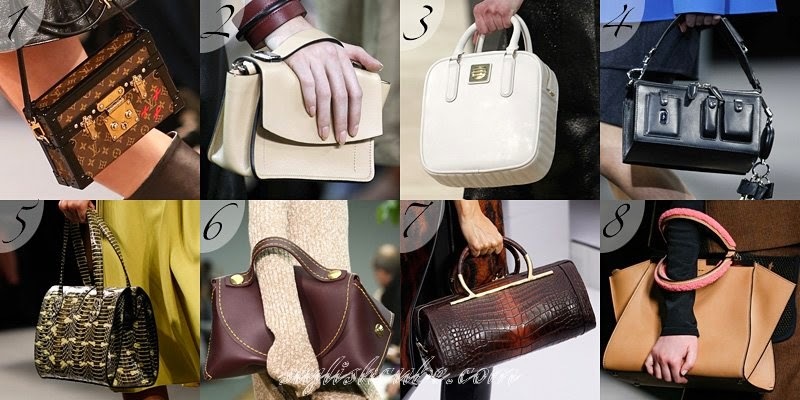 Such solutions exist in all categories, from valises to purses. Chains do not claim to be a novelty, but for handbags it is the exception to the rule. 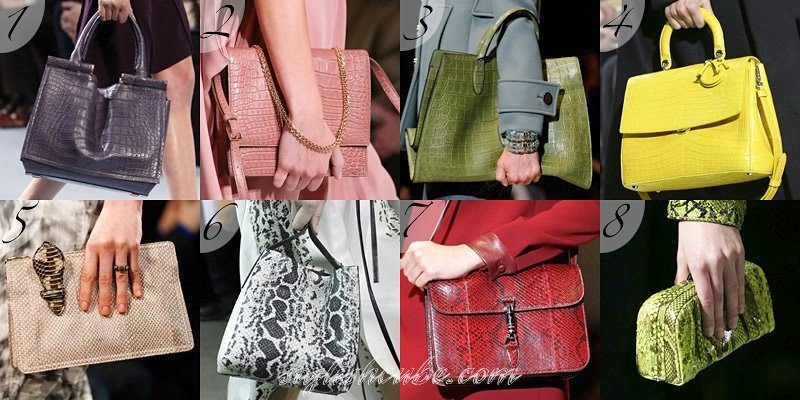 Women’s bags made of reptile skin have a leading position. Their colors in the new season are any, from traditional shades of black, white, brown and beige to gentle pastel and rich shades of red, green, burgundy, yellow and blue. Fur refuses to leave the list of trendy materials and so it is expanding its influence. This applies to shades of color, fur varieties and styles. 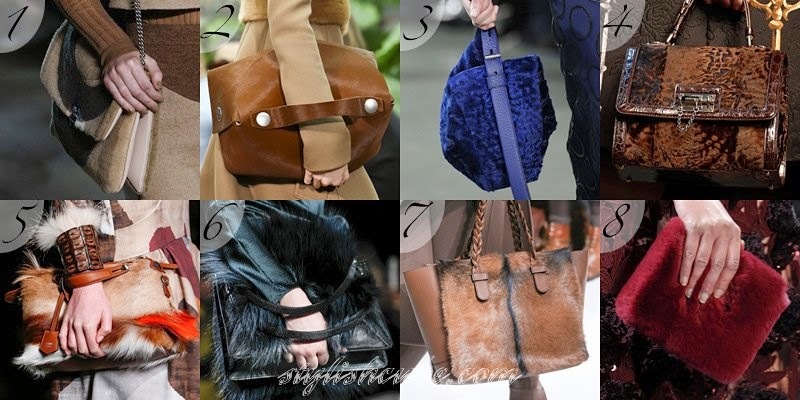 Women’s bags made of fluffy and smooth "short-haired" fur, astrakhan and sheepskin – are a frequent element of the image, they are also found among the purses. Textiles of all kinds are ready to compete for the first place with reptilian skin and fur. In the wardrobe of fashionistas appropriate bags are the ones made of mohair, wool, linen, tweed, and fleece and even felt. Items of metal, plastic and quilted material do not get out of use. 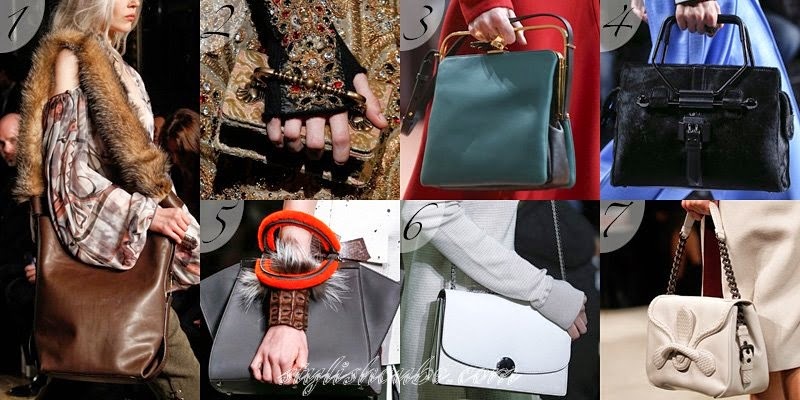 Palette of bags fall-winter 2014-2015 conforms to the general trends, it includes: black, white, brown, beige, soft pastels and rich shades of red, blue, green, yellow. Contrast of two or three colors and design in the style of color blocks are in fashion. 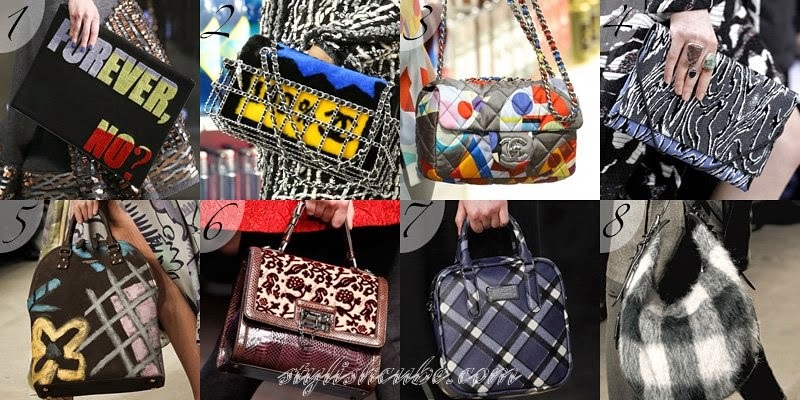 Among prints for handbags are– inscriptions, including volume ones, abstraction, strokes, floral patterns and ornaments, stripes and check. Elegant classical solutions and bright accessories, with a note of extravagance, are appropriate. 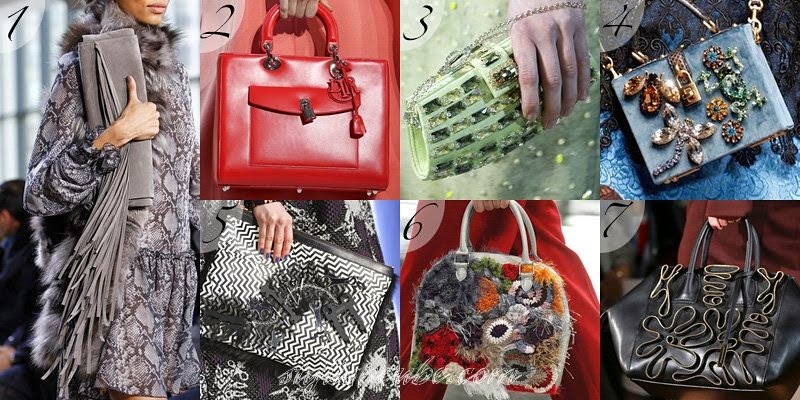 Decor of handbags is volume and conspicuous: graceful locks and monograms, tassels and fringe, a scattering of crystals and stones, volume applications, metal fitings, icons and figurines. Fashion of the season puts the bag on the position of the leading accessory that attracts attention and causes admiration.